Models diffuse reflection = indirect diffuse lighting. 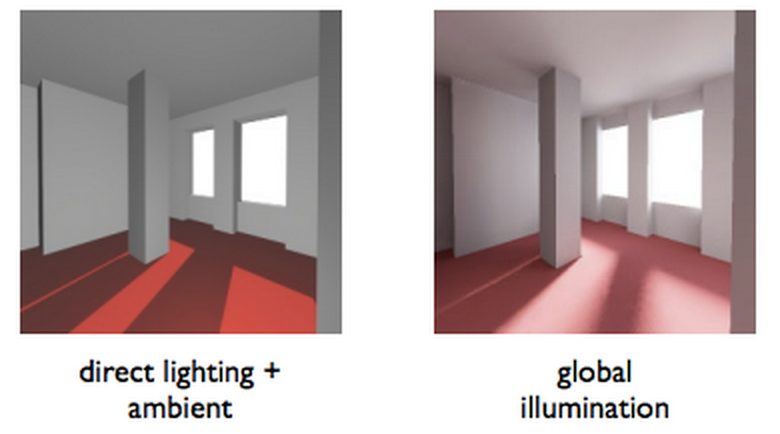 Direct lighting only takes into account sources. Radiosity accounts for diffuse reflections of everything in the scene. By dividing the scene up into small patches and calculating the energy transfer between patches we can do a reasonable job at indirect diffuse lighting. 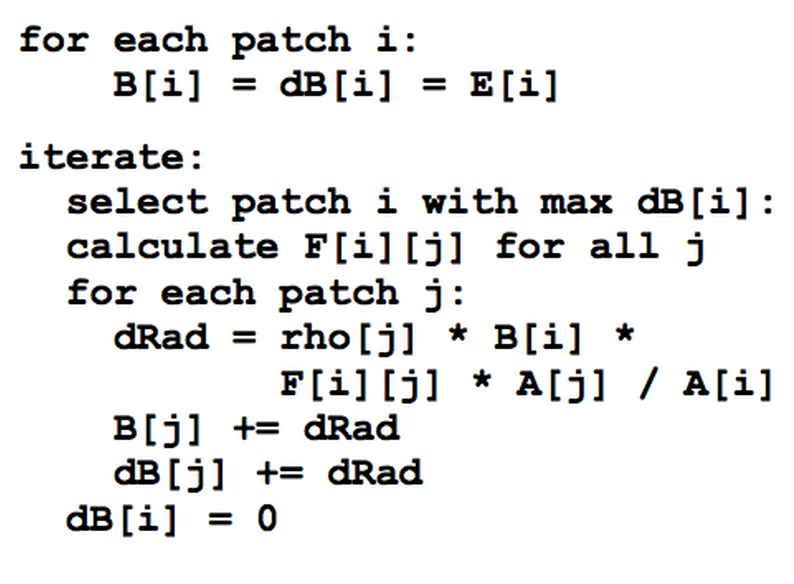 A patch receives input to the sum of the output of all the other patches. 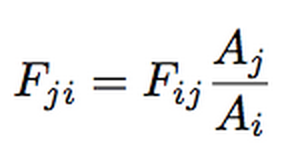 We can use the above equation, but it’s difficult (and doesn’t take occlusion (hidden surfaces) into account). So instead we have the Nusselt Analog. We could use a lot of matrix math to do this, or we can iteratively update the radiosity values with multiple passes. 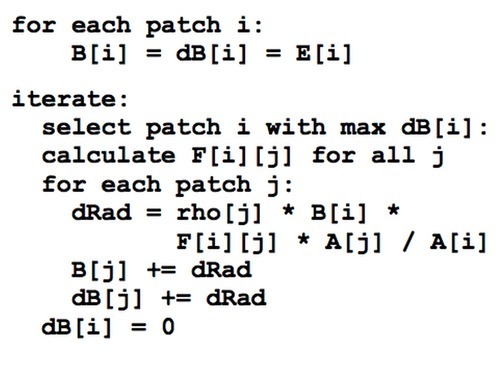 The iterative approach is inefﬁcient as it spends a lot of time computing inputs from patches that make minimal or no contribution. Instead we prioritise patches by light output (as these will contribute the most to the scene). To do this we can work out the form factor for light sent from i to j, rather than light received at j from every i (which is what Nusselt’s Analog does).